July 3, 2018- Laramie County voters can now look up their Primary Election sample ballot on the County Clerk's website, as well information about their election districts. 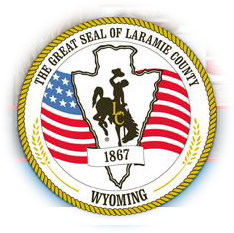 June 12, 2018- The Laramie County Clerk, in conjunction with the Cheyenne League of Women Voters, is hosting a series of Saturday voter 'drop in' events at the Laramie County Library. November 6, 2017- Voters head to the polls Tuesday to cast ballots in LCCC bond election. Vote centers open 7 a.m. to 7 p.m.